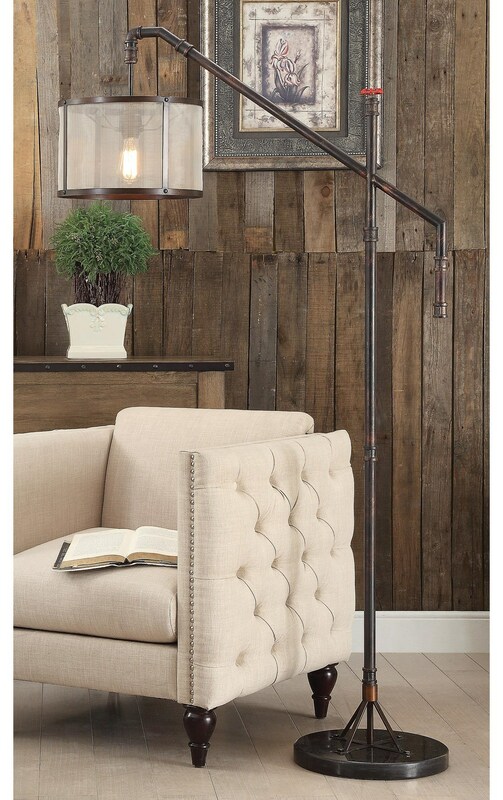 The Lamps Rusted Bronze Floor Lamp by Anthony of California at Sam Levitz Furniture in the Tucson, Oro Valley, Marana, Vail, and Green Valley, AZ area. Product availability may vary. Contact us for the most current availability on this product. This collection of lamps will bring additional lighting to your home in a variety of different styles. Casual, contemporary and traditional styles in many different finishes are represented in this collection which includes an assortment of table lamps and floor lamps. Enhance your home with a sophisticated lamp that will enrich your decor and illuminate the room with a warm glow. The Lamps collection is a great option if you are looking for Rustic Industrial Lighting in the Tucson, Oro Valley, Marana, Vail, and Green Valley, AZ area.